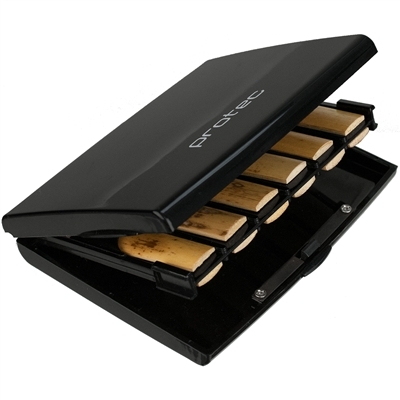 This reed case is designed to maintain your reeds in optimal humidity conditions to avoid any deterioration. 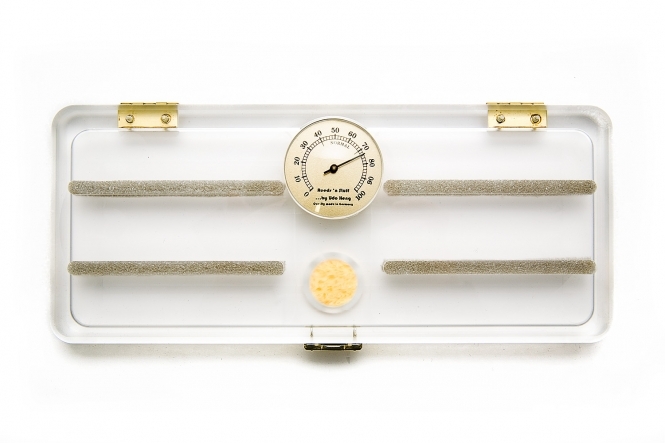 It is based on a regulated humidification by air circulation and a hygrometry level controlled by a humidity indicator disc. HRC10 Holds 6 of any Bb, Eb, or alto clarinet and soprano or alto sax reeds. HRC20 Holds 6 of any bass clarinet and tenor or baritone sax reeds. An elegant blue case designed to hold reeds. 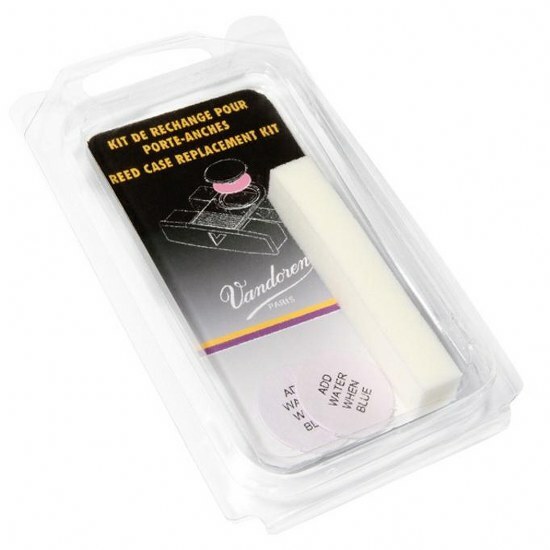 This kit contains a sponge and two replacement humidity indicator discs for the Hygro reed cases. Bambú’s Wooden Reed Cases are 100% handmade with premium quality wood. 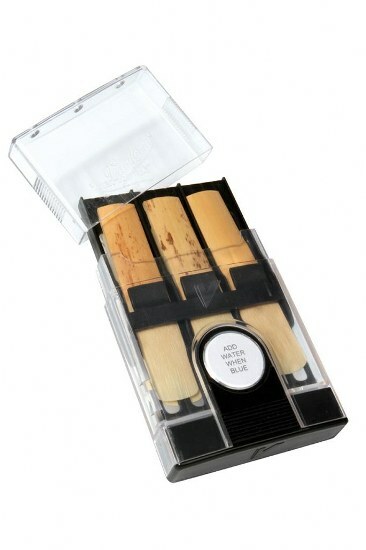 They have been specially designed to guarantee an optimum care of reeds. Their practical and original slide system with neodymium magnets ensures secure closure.